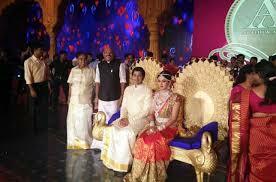 The Indian billionaire businessman Ravi Pillai threw an extravagant wedding ceremony for his only daughter Arathi, as she tied the knot with her husband, Aditya Vishnu on Thursday, 26 November. 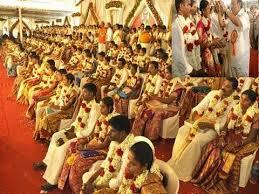 The world class wedding is estimated to have cost about 550 million rupees or $8 million. Arathi and Aditya’s wedding reception which held at Le Meridian in Ernakulam on Satruday evening was designed by one of India’s popular film directors, Sabu Cyril. The set took approximately 75 days and 8 acres to build.